The UN Office on Drugs and Crime (UNODC) announced a new peace initiative in Burma's eastern Shan state June 28, aimed at facilitating poppy eradication in the world's second largest opium producer. The government has pledged to cooperate with the Restoration Council of Shan State (RCSS), whose Shan State Army (SSA) fought for regional autonomy from 1964 until a 2011 ceasefire. Both parties and the UNODC agreed to help destitute farmers with alternative development programs. The anticipated multi-million dollar four-year plan seeks to improve the state's infrastructure, health and education. "There are increasing rates of poverty and food insecurity," said UNODC country coordinator Jason Eligh. "Opium farmers are not bad people, they are just poor and hungry." Accused Burmese drug lord Naw Kham was executed in China on March 1 along with three accomplices in the murder of 13 Chinese merchant sailors on the Mekong River in 2011. The executions were carried out by a court in Kunming, Yunnan province. Thai national Hsang Kham, Lao national Zha Xika, and Yi Lai, who was named as "stateless," were executed by lethal injection along with Naw Kham. In an unusual move, authorities allowed state media to film Naw Kham during his transfer from a detention center to the court's execution area. China Central Television showed police removing Naw Kham's handcuffs and binding his arms behind his back with rope, a standard ritual before executions in China. The executions themselves were not broadcast, as cameras were not allowed in the death chamber. But the spectacle still sparked dissent on the Internet within China. India: Naxalite hand in opium trade? Following a series of raids on the strongholds of Naxalite rebels and the slaying of top commanders, authorities say the guerillas' leaders have taken refuge in India's northeastern hinterlands, seeking to regroup and resupply—through control of opium production in their traditional strongholds. Home Ministry Joint Secretary MA Ganapathy said that Naxalites in Chhattisgarh, Jharkhand and Andhra Pradesh are producing opium in their jungle territories. "Intelligence reports say that the Maoists have joined hands with drug cartels to cultivate opium, which is subsequently delivered to the mafia, who convert raw opium into heroin and smuggle the drug outside the country," he said. 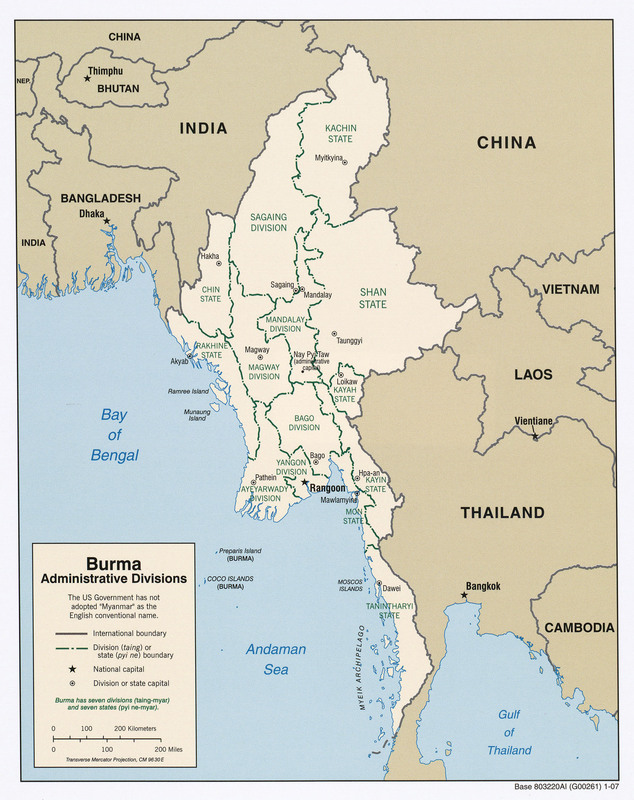 The proceeds are reportedly used to purchase weapons in the northeast that come across the border from Burma. Burmese government negotiators and representatives from the Kachin Independence Organization (KIO) this week agreed to hold talks at Panghsang in northern Shan state, territory under the control of the United Wa State Army (UWSA), another rebel group that has entered into a peace deal. The KIO, the political wing of the Kachin Independence Army (KIA), accepted the plan Jan. 29. No official date has been set for the talks as government troops inch closer to Laiza after taking a key KIA hill station over the weekend, which served as the last line of strategic defense for the Kachin stronghold. The Burmese military on Jan. 2 claimed responsibility for several air-strikes against Kachin rebel positions in the country's north—less than a day after the government denied that the strikes had taken place. The military statement said that "an assault mission, utilizing air-strikes, was carried out" in the strategic Lajayang region, less than 13 kilometers from the rebels' headquarters in Laiza. This contradicts an earlier government claim that it was only using air forces to "deliver food supplies to its troops" and "to provide security for the workers who are repairing roads and bridges."